Zombie cats really enjoy sitting on skulls similar to how non zombie cats love to sit in boxes. 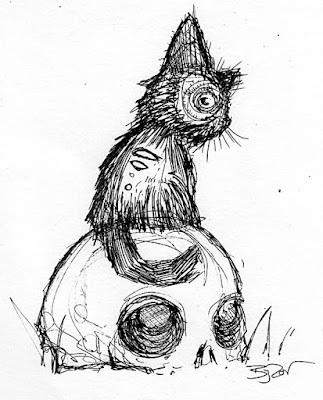 This little black zombie cat loves this skull ... and really enjoys sitting on it and watching the rest of the world go by ... the rest of the burned out post apocalyptic world that is. 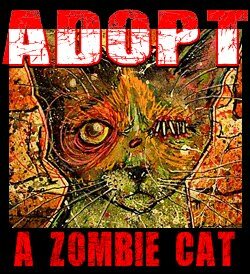 And if you want to see a fast video of the drawing of this zombie cat, click the video below. Don't forget to show some love and subscribe ... and share too if you have a spare second or three.